Dr. Emery and Team Sugar Fix celebrate Dr. Emery’s return! Last night we celebrated Dr. Emery’s return! She has recovered nicely from her hand injury and is “back in the saddle again” at Sugar Fix Dental Loft! 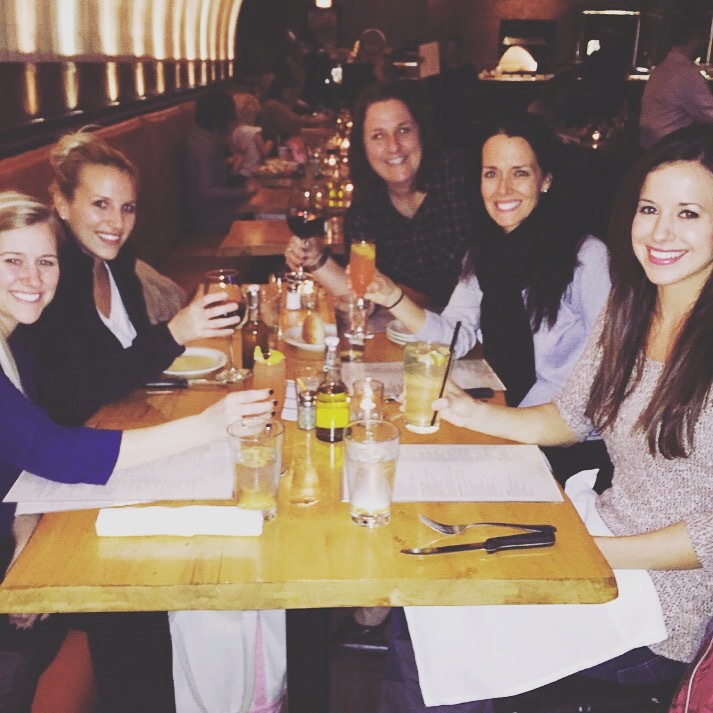 Our team had a wonderful variety of delicious appetizers and cocktails inside Frasca Pizzeria & Wine Bar in Lakeview. As a team, we reminisced about some of the most fun times we’ve had together and we talked about the exciting future of Sugar Fix Dental Loft. Our new website has launched, which was a true labor of love for Dr. Emery. It seems the perfect time for Dr. Emery to be back in full-swing at her bustling cosmetic dentistry practice. Dinner was then served, and amazing pasta and fish dishes were served! We toasted Dr. Emery’s return, her health, and all of our good-fortunes to get to work at such an amazing dental practice. Before dessert was served, we gave Dr. Emery a gift as a memento of the occasion. It was a great way for Team Sugar Fix to honor and celebrate our employer, Dr. Jessica Emery, the finest cosmetic dentist in all of Chicago. We are so fortunate to get to work for such a smart & gifted dentist that truly cares for her patients as well as her employees.